Open to all talented juniors (Girls & Boys) in Cornwall who are under the age of 14 (1st Jan 2019) who show determination, ambition and a commitment to succeed. New structured academy now with new age and ability selection process in position to facilitate the best learning/development environment possible whilst maintaining a fun, supportive academy. Monthly development sessions (5) held across Cornwall starting in January. Sessions last approx. 4-hours & generally take place on Sundays each month. The academy is open to Boys & Girls and represents a fantastic opportunity to improve Mind, Body and Golf Skills. Sessions will start in January and each group will have at least 5 sessions to participate in and enjoy. Dates of these sessions will be advertised ASAP and will be posted on the CGU website. The majority of the sessions will take place on either the 3rd or 4th Sunday each month and start at 12pm lasting for approximately 4-hours. All juniors will need to apply for their position in the academy, within 10-days of the close of the deadline all juniors will be contacted & advised whether they have been allocated a place or informed of other opportunities which may be more suitable. Details about each session will be emailed out by the Lead Professional 1-week before the session and you will receive a review of the session within 48-hours of completion. All groups will be based on handicap levels on 01.12.18. Each group helps develop each individual junior and provides our various squads outstanding players who will have grown, trained and developed together forming fantastically bonded successful future teams. There is a cost of £50 per junior for participating on the development academy. This fee will then be matched firstly by England Golf then by the men’s Cornwall Golf Union and then by the Cornwall Ladies County Golf Association. This funding enables the academy to facilitate such a great opportunity. By applying and paying in advance you will be helping your child take another step towards achieving bigger and better things in their chosen sport. 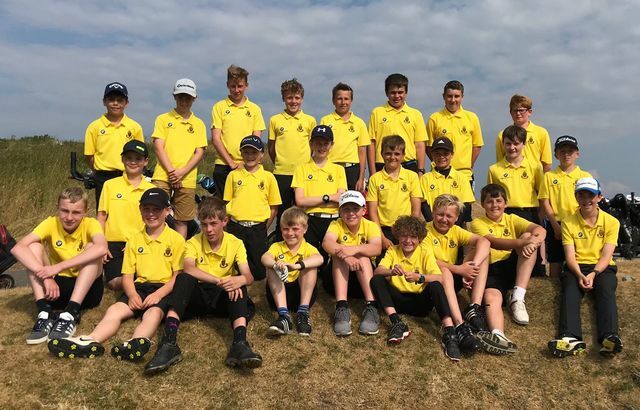 Each junior will enjoy attending fantastic development sessions, learn from some of the best PGA Professionals here in Cornwall and build lifelong friendships with fellow juniors who share the same common goals and interests. Please send the completed application form and cheque for £50, made payable to “Cornwall Golf Development Academy” to “Matt Tucknott PGA, Radnor Golf & Leisure, Radnor Road, Treleigh, Redruth, Cornwall TR16 5EL” to arrive no later than midday on the 1st December 2018.